When you had a busy week or a stressy day it can be delighting to have some relaxation. 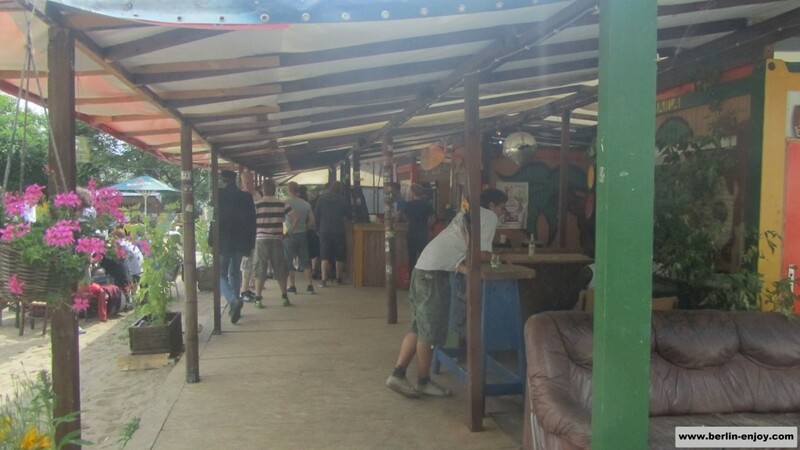 Everybody has his own methods, but for me chilling at Yaam is most defenitly one of the best: Listen to some raggae music, being surrounded by laidback rastafari´s and enjoying the beautiful atmosphere makes me fit for the next day of work. 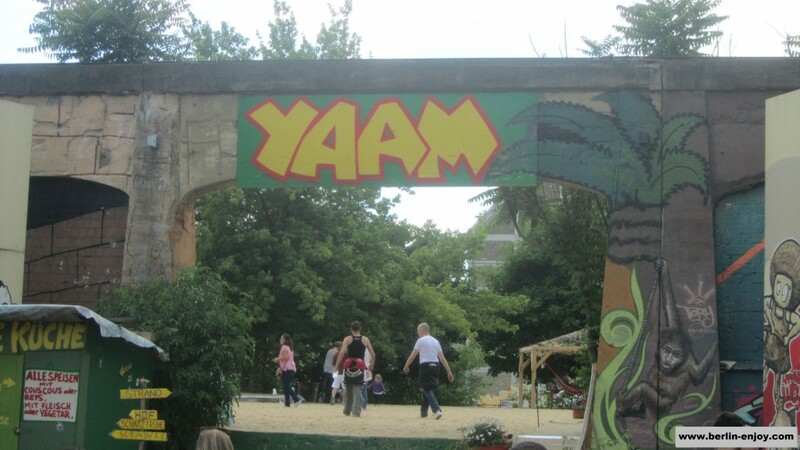 Yaam is located in the same street as Oststrand and The Eastside Gallery. 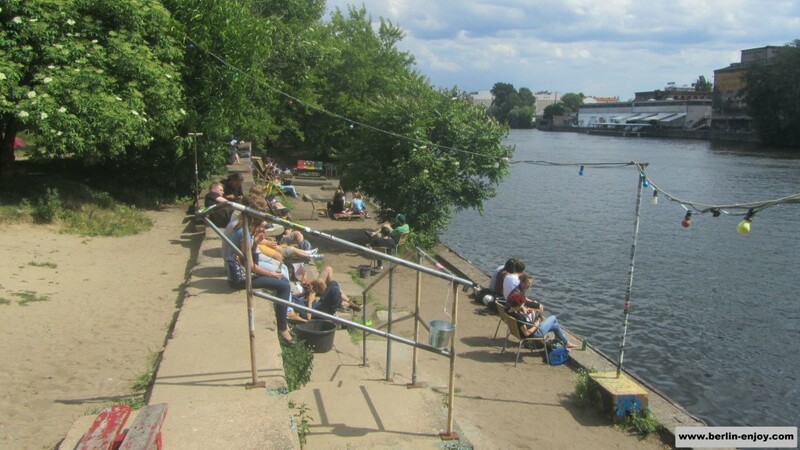 Although Yaam also has the benefit of being located directly at the Spree, it is very different than Oststrand. 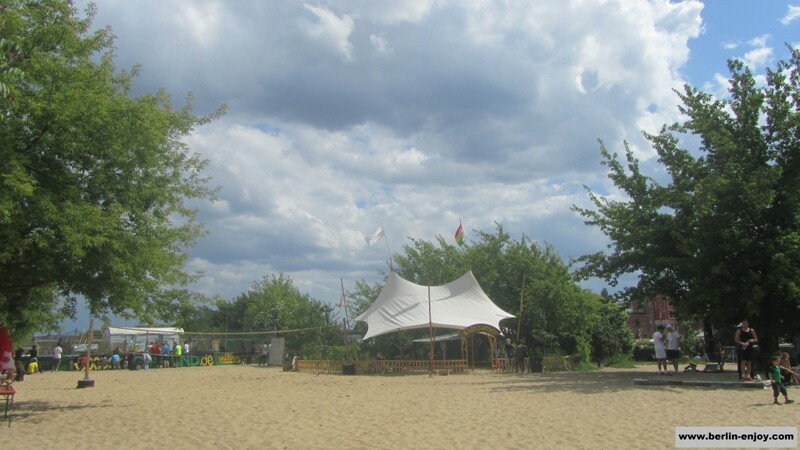 Where Oststrand is an individual place, Yaam is more like a small town with different bars and activities. As soon as you pass the entrance, you are in the “laidback-world” and it feels like Bob Marley could be watching over your shoulder. The prices are good. The atmosphere always makes me fancy a nice Corona which costs only 3 Euro. A normal beer can be bought for 2,50. Watch out with throwing your bottles away because every bottle is worth 1 Euro. The usual “Pfand” which you find all over Berlin. Besides chilling you can also chose to play some football, basketball or do other activities. Inside Yaam there are two small sport fields where everybody is welcome to join. Also, tournaments are organized by the staff with nice prices and good competition. On these specific dates you have to subscribe with a full team to participate. The next tournament will be found on the official website of YAAM. 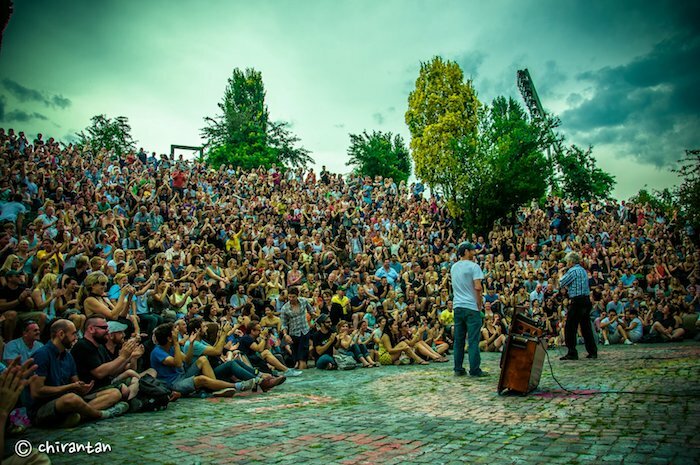 The easiest way to reach Yaam is to take the metro to Ostbahnhof. When leaving the station you just have to cross the street. As mentioned before, the Eastside Gallery is very close by. Because staying in Yaam longer then expected, it might be good idea to check out the Gallery before you enter. All in all Yaam is quite an unique place which is most defenitly worth a visit.